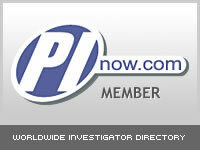 Process Serving & Private Investigations in Grand Junction made affordable! Colorado West Pro-Serve & Investigations, LLC is dedicated to fast, affordable, accurate and reliable Process Service & Private Investigations in Grand Junction for our customers. For Attorneys, all services include free pick up in Grand Junction area, or simply send documents via e-mail to: coloradowestproserv@gmail.com. Just scan the documents, add directions to the cover page, and we print and serve them with 1st attempt usually by next day (Normally $70-$90 value) $50.00 Total! Or simply click the link: Service Request Form Same Day Service: (Normally $90) $70.00 Total! All serves include a professional notarized Affidavit of Service, Field Sheet, and Invoice. We can also set you up on a 15 or 30 day billing cycle for your convenience. We also have access to one of the best database providers available. This allows us to find those evasive individuals who don't want to be found. Our goal is to provide our customers the best service available so that you can move forward with your legal proceedings.